THIS EVENT IS FULLY BOOKED. ADD YOUR NAME TO THE WAITING LIST. Cork Chamber is delighted to team up with Cronin’s Coaches and the Cork City Gaol, to invite you to our first Clock Out & Connect Experience of 2019, Tuesday 30th of April. 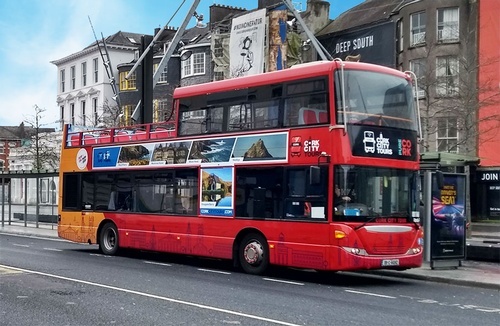 Meet fellow Chamber Members in Dwyers of Cork at 5.00pm for registration, before we jump on board Cork City Tour’s Red Double-Decker open-top bus, departing from Grand Parade at 5.45pm, taking you on a historical journey to Cork City Gaol, one of Cork’s most treasured landmarks. As you know, this is Cork Chamber’s 200th Year Anniversary, and we thought, what better way to celebrate - than a trip down memory lane. Local historian Kieran McCarthy will join us on our journey, telling tales of Cork’s past as we drive by some of its well-known attractions. Upon arrival, enjoy some refreshments provided by An Excellent Choice Catering and wander around the wings of the Gaol, where you will hear the jingle of the warder’s keys and the echoes of Cork Chamber Members networking. Please note that registration for this event is essential as you need to secure your place on the bus. Limited to two places per company.